Reference checking and background checking are critical (but not easy) parts of the recruiting process. Legal pitfalls abound, especially with discrimination, privacy, and third party participation. 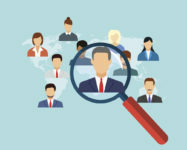 Where should you focus your recruiting efforts if you want to find out more about a job candidate? More than one-fourth of small/medium business owners and managers perform credit or financial background checks on job applicants, according to a new survey conducted by the National Financial Educators Council (NFEC), a provider of financial educational resources. Are You Recruiting for One of the Most Dangerous Jobs in America? The recent death of New York City Police Officer Miosotis Familia, shot while on duty, serves as a grim reminder that certain jobs come with inherent risks. A recent analysis by Quest Diagnostics shows that workplace drug use is higher than it has been in 12 years. What does that mean for recruiting? Let’s find out.